Have you tried many night lights but not found the brightness you need? Do you need a brighter night light for a larger area? Are you still having trouble with blinding overhead lights when going to the bathroom or looking after children at night? Is finding the right soft, night light for children who scared of the dark? 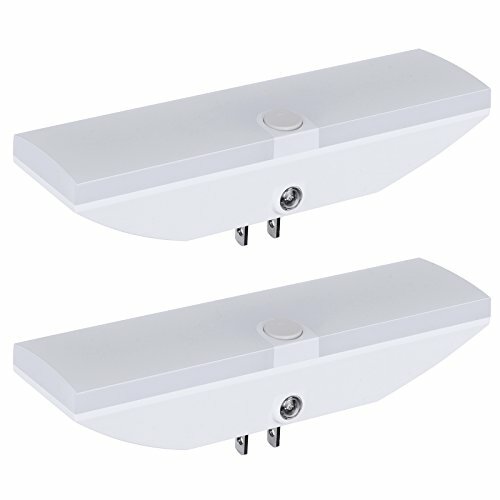 Dewenwils 3 brightness levels LED night light will meet all your needs! Built in 10 LEDs offers up to 70 lumens soft white glow meanwhile consumes little power (max. 1.5W), 50000 hours lifespan never worry about emitting heat. Safe for home use and save your money on electric bills. Perfect night light in kid's room, providing comfortable ambient light to help them go to sleep or take care of their business in the middle of night, great for children who are scared of the dark and can't reach a light switch. Keep a light for pets so they can see their way clearly at night. No need to turn on an overhead light and disturb your sleep or wake others. Safety night light for seniors, guests and adults, illuminate all the obstacles in the dark. If you have any questions about this product by DEWENWILS, contact us by completing and submitting the form below. If you are looking for a specif part number, please include it with your message.